With custom home remodeling by Royer Designs, you can transform an old and dated interior or exterior into a new, modern and vibrant space. 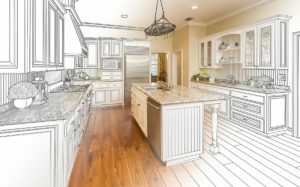 Our design and remodeling services will breathe new life into your home, making it a pleasure to live in and a showpiece that will be the envy of the entire neighborhood. As both a designer and remodeling contractor for both residential and commercial premises, you can have complete confidence in the outcome when Royer Designs is on the job. Our team lives and breathe quality custom home remodeling and we work closely with you to deliver the results you’ve always dreamed of. If you are located in San Jose, CA, Santa Clara, Palo Alto, Mountain View, Sunnyvale, Los Altos, Los Gatos, Campbell, Cupertino, Saratoga, Stanford, New Almaden and surrounding areas, call us first at (408) 314-0456 for a friendly chat about your project.